The Guitar Train Stops to see Paul McCartney!!! Quirky T was extremely lucky to be able to conduct The Guitar Train to see the legendary Paul McCartney in concert on Sunday, August 7 at Giants Stadium (really called MetLife Stadium). It had been 14 years since I last saw my favorite Beatle perform live. The concert was, not surprisingly, amazing. Before going to the concert, I checked out the set list for the concert prior to this one. I was a little disappointed that he would not be playing some of the songs that I really wanted to hear. (Click on the link for the set list for the concert I attended. http://www.setlist.fm/setlist/paul-mccartney/2016/metlife-stadium-east-rutherford-nj-2bfc9c2a.html) I wrote a Guitar Train stop called “Concert Song Requests of My Faves” https://guitartrain.wordpress.com/2016/03/24/concert-song-requests-of-my-faves/ where I listed the Beatles songs I would like to hear. So, Sir Paul, any time you need help coming up with the set list, I would be more than happy to help. (Incidentally, that list would include several songs from the album, “Help!”). I guess I was comparing the set list to the first Paul McCartney concert I went to at Giants Stadium (the actual name of the stadium then). At that concert, he played several songs from my favorite solo album of his, 1989’s “Flowers in the Dirt”. 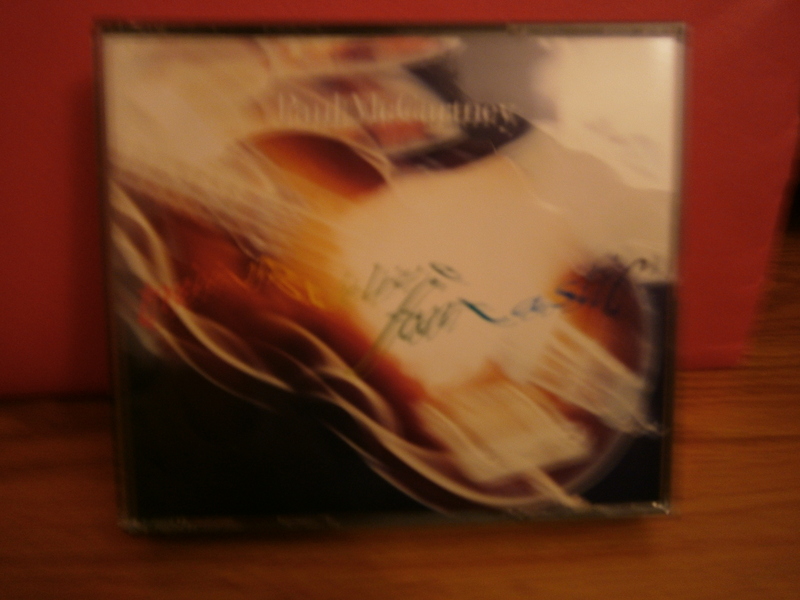 I bought the double CD of live performances from that concert called “Tripping the Live Fantastic”. So the memories of that concert have been kept alive for me. I was also comparing the set list to the one from his October 21, 2015 concert in Detroit where he played several songs from my favorite Beatles album, “Help!” as well as other Beatles songs he doesn’t usually play in concert. It’s just so frustrating because he has so many incredible songs to choose from that I wonder why he chooses the ones he does. The crowd at this concert, at least the fans near me, was definitely into The Beatles songs (obviously) and less into the Wings songs, and even less into the songs from his 2013 CD called “New”. At one point, Paul mentioned that when the crowd is into the song he is playing, he sees all the lit up cell phones. When they aren’t into the song, it’s like “a black hole”. He added, “But we don’t care.” Since it is impossible to play every song that every fan wants to hear (and keep the concert time under three hours), he has to play what he wants and not worry too much about fan reaction. It’s not as if any song is so horrible that he will be booed. So let me move on from whining and write that I loved the concert and was grateful to be there. I really liked the fact that Beatles songs were played before the concert began. 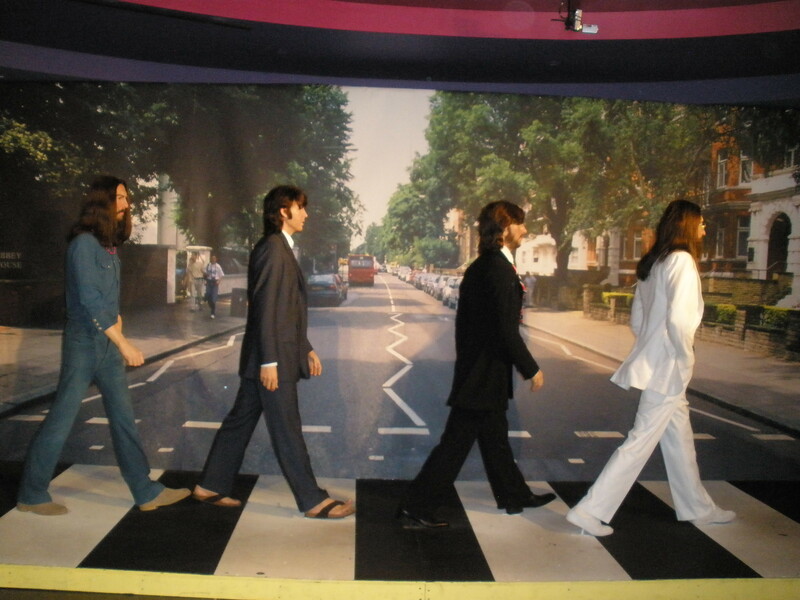 Some songs were sung by the Fab Four such as “Tomorrow Never Knows”, “I’m Happy Just to Dance With You”, “If I Needed Someone”, and “Day Tripper” and some were covers such as “Get Back” and “You Can’t Do That”. I really enjoyed listening to these songs because I have never liked any of the songs played before any other concert I’ve ever attended. It makes perfect sense to play Beatles songs, and not just Paul’s Beatles songs, because the audience will definitely like them. Also before the concert, there was a rumor going around that a special guest would join Paul McCartney on stage. Someone brought up Ringo Starr. I quickly dismissed that as impossible. I doubt Ringo just happened to be hanging around East Rutherford, New Jersey and would pop up on stage for half a Beatles reunion. Another name brought up was Bruce Springsteen but that was quickly shot down as he was touring in Europe at the time. I did think a perfect song for them to duet on would be Bruce Springsteen’s “Jersey Girl” since Paul called his wife, Nancy, a “jersey girl.” I could only think of musicians of his generation that I hoped wouldn’t come on stage. Alas, there wasn’t any special guest and none was needed. I had heard and read that lately Paul has been bringing fans on stage during the concert. I’m so glad that he didn’t do that at this performance. Unless it’s me, no fans belong on stage with him. There were plenty of fans vying to get on stage with the clever signs they made. Paul commented that he couldn’t read the signs and remember the chords and words at the same time. I found it interesting when Paul said, “we played our first song and now we’ll play our latest song” because there is no “our”. He is the only one who played on that first song, “In Spite of All the Danger”, the latest song, “Four Five Seconds” and all the songs in between. There’s no “we” who played with him in The Beatles, Wings, and solo. If anyone can say, “I”, without being narcissistic, it’s him. Not surprisingly, The Beatles songs really held up after all this time. As he played “Can’t Buy Me Love”, I thought of how that song is over 50 years old and still played and still loved. I doubt that in the 1960’s, people were listening to songs from the 1910’s. Also, as always, I think of the fact that Paul is performing Beatles songs which he never performed live with John, George, and Ringo. Another observation I had was about the songs he performed which he had written for the loves of his life – 60’s fiancée Jane Asher, his late first wife, Linda, and his current wife, Nancy. “And I Love Her”, a Beatles song, was written for Jane. “Maybe I’m Amazed” was a solo song written for Linda. “My Valentine” was written for Nancy as part of his album of standards. (I wrote about this CD in a Guitar Train stop called “Quirky T’s Favorites Sing the Standards” https://guitartrain.wordpress.com/2014/10/23/quirky-ts-favorites-sing-the-standards/ ). I think Nancy has the worst song written for her out of those three but I guess since she’s the one who is with him now, it doesn’t matter. I like the fact that Paul still sings “Maybe I’m Amazed” and prefaces the song by saying he wrote it for Linda. He seemed to get choked up before he sang “Here Today” in tribute to John Lennon. He also paid tribute to George Harrison before playing the ukulele and “Something”. It’s sad that there are so many tributes for deceased loved ones. For me, the highlights of the concert were Paul McCartney playing one of his earliest songs, “In Spite of All the Danger”, a surprising Beatles song, “You Won’t See Me’, a different version of “Here, There, and Everywhere”, and two upbeat Beatles songs, “Lady Madonna” and “Ob-La-Di, Ob-La-Da”. I absolutely loved the fireworks set off during “Live and Let Die” and set off again at the end of the 2 hour and 40 minute concert. I was a little concerned because they were set off from the seating section I’ll be in for an October New York Giants football game. I hope the seats weren’t damaged! Guitar Train passengers, if you went to a Paul McCartney concert, which songs would you want to hear? To end Concert Month, the Guitar Train stops to look at Quirky T’s all time favorite concert moments. My first favorite concert moment is actually a whole concert – the first time I went to a Paul McCartney concert. The concert was on July 9, 1990 at Giants Stadium in New Jersey. It was actually the worst concert atmosphere I’ve ever been in. Only hot dogs where available to eat which I’m sure a vegetarian like Paul McCartney would not appreciate. The only seat I could get after hours spent calling Ticketmaster (see my August 15, 2013 post called “The Guitar Train Stops at Ticketmaster” https://guitartrain.wordpress.com/2013/08/15/the-guitar-train-stops-at-ticketmaster/ ) was nowhere near my family and friends who attended the concert with me. So I was sitting all alone surrounded by people engaging in illegal activities while waiting for the concert to begin. It started an hour later than scheduled. Once the concert began, the atmosphere changed as everyone focused on the music. It was amazing to me to hear Beatles songs played by an actual Beatle. It always amuses me to hear Paul McCartney play Beatles songs in concert that the Beatles themselves never played in concert. I had none of the problems Beatles concertgoers had – I had no problem hearing and seeing Paul and his band. I loved how he made the end of “Hey Jude” a sing along with different areas of the stadium participating. I bought the double CD recorded during this tour, “Tripping the Live Fantastic”, so I can relive those great concert memories whenever I listen to the CDs. 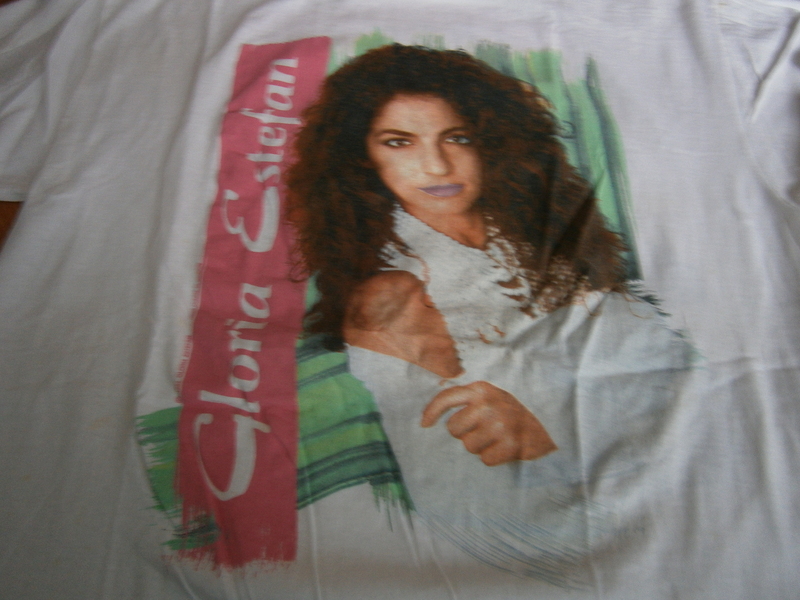 My next favorite concert moment was at a Gloria Estefan concert on September 21, 1991 at the Meadowlands Arena in New Jersey. I had first seen Gloria Estefan in concert the year before at the same arena. She had the same comedian as her warm-up act at both concerts. I would have no problem with that if he hadn’t told all the same jokes both times. In one year, he couldn’t come up with new material? Or did he really think 20,000 different Gloria Estefan fans would be at the second concert who weren’t there at the first? Anyway, I really enjoyed Gloria Estefan as she puts on a great show. 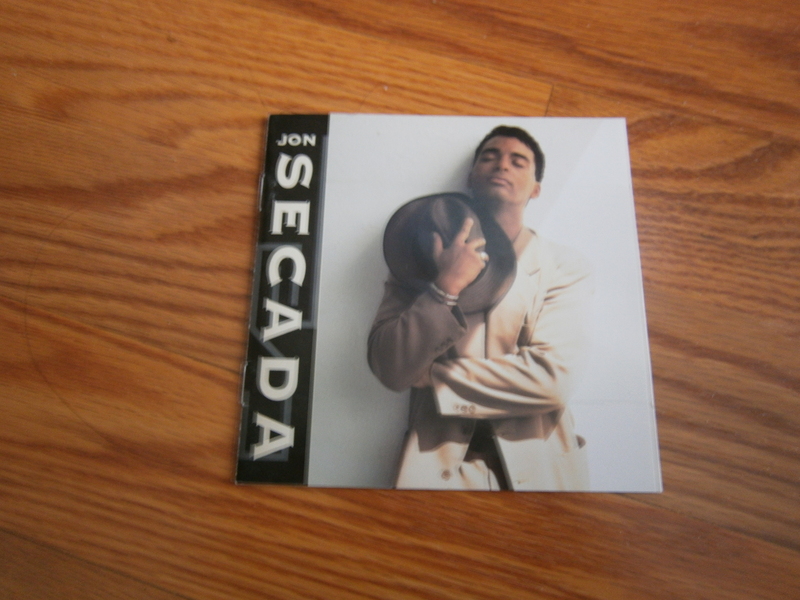 That’s why I was not happy when she left the stage to showcase her back-up singer, Jon Secada. That was until he opened his mouth and sang, “Always Something”. He absolutely amazed me. I have been a fan from that moment on. His first self titled CD contains a live recording of “Always Something” which always brings me back to the first moment I heard him sing. Unfortunately, he has not gone on to have the highly successful career that Gloria has. My third favorite concert moment is another whole concert – the first time I saw Huey Lewis and the News after decades of being a fan. I had been a fan since their album “Sports” in 1983 but I was too young then to go to a concert. Luckily for me, decades later the band still tours every summer. On June 16, 2009, I finally saw them at a small venue, The Community Theatre at Mayo Center for the Performing Arts in Morristown, New Jersey. Since it is a small venue, I probably had better seats than I would have in a bigger arena in the 1980’s. 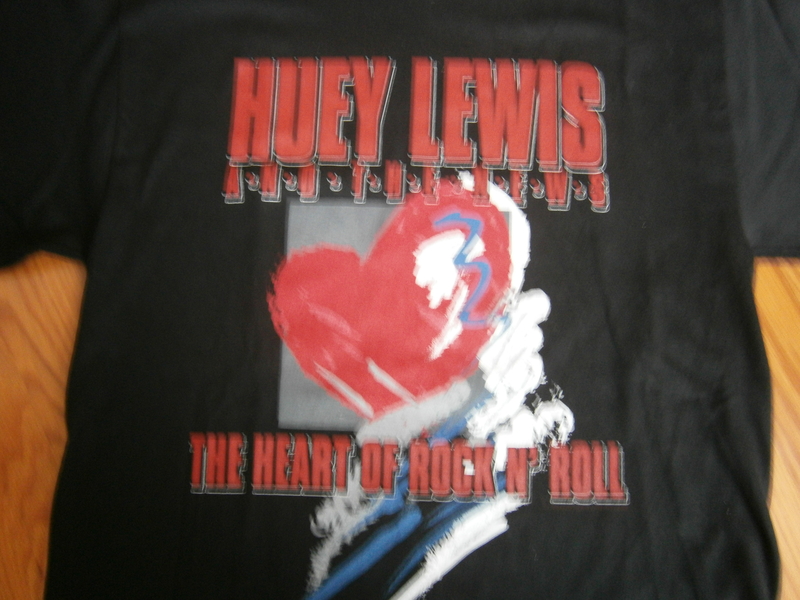 It was exciting to hear Huey play the songs I have always wanted to hear live. My only compliment is the concert was too short – only about 1 ½ hours. They really could’ve played more since they have decades of great songs. After thinking my chance to see Huey Lewis and the News was long gone, I’ve been lucky enough to see them three times in five years. Guitar Train passengers, what was your favorite concert moment? Next month is Favorites Month on the Guitar Train. The Guitar Train will be stopping to examine Quirky T’s all time favorite musicians. 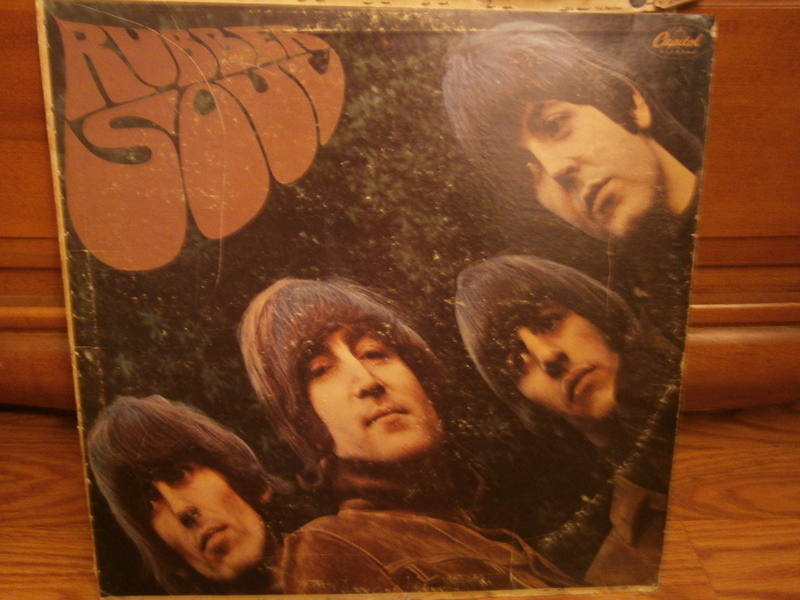 Quirky T likes all The Beatles; there is not any member she doesn’t like or have affection for. I appreciate how all their talents combined to make the best band ever. I do have favorites of each of their songs. My favorite John Lennon and Paul McCartney songs change depending on my mood but my favorite George Harrison and Ringo Starr songs remain the same. That may be because there is an overwhelming amount of Lennon McCartney songs to choose from to suit any mood. “In My Life” is just a beautiful and sentimental song from John Lennon. I actually prefer the more rocking version of “Got to Get You Into My Life” that Paul McCartney performed in his concerts in 1990 over The Beatles version. 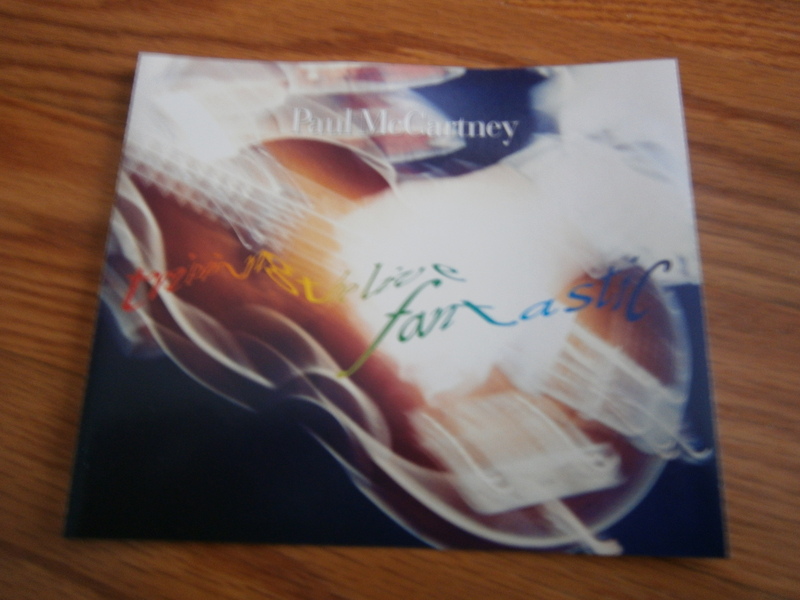 That version can be heard on Paul McCartney’s double CD, “Tripping the Live Fantastic”. 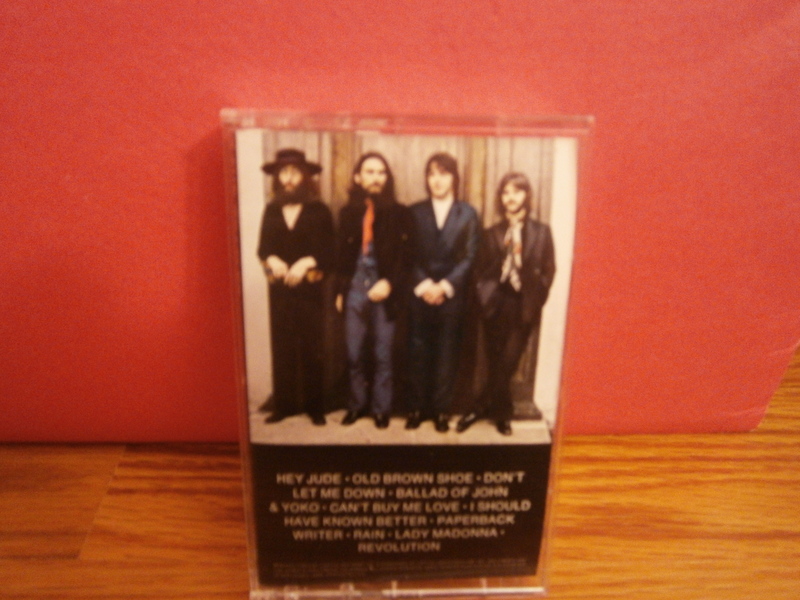 I also prefer the rough version of “Old Brown Shoe” on “Beatles Anthology 3” over the final version. I think it is a very underrated George Harrison penned song. 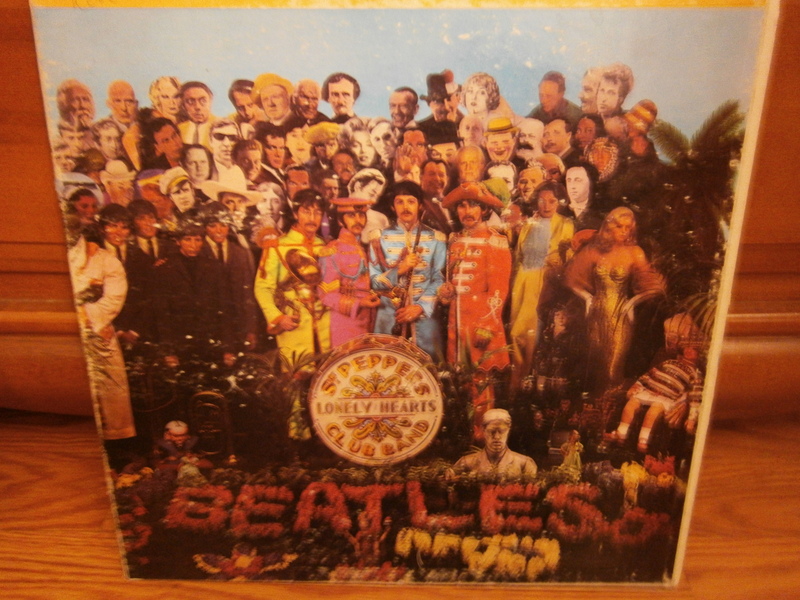 “A Little Help From My Friends” was sung by Ringo but not written by him. Guitar Train Passengers, what are your favorite songs of each of the Fab Four? Tell Quirky T.
Stay on board the Guitar Train to check out next month’s Quick Station Stop where Quirky T lists her favorite post Beatles songs of the Fab Four.